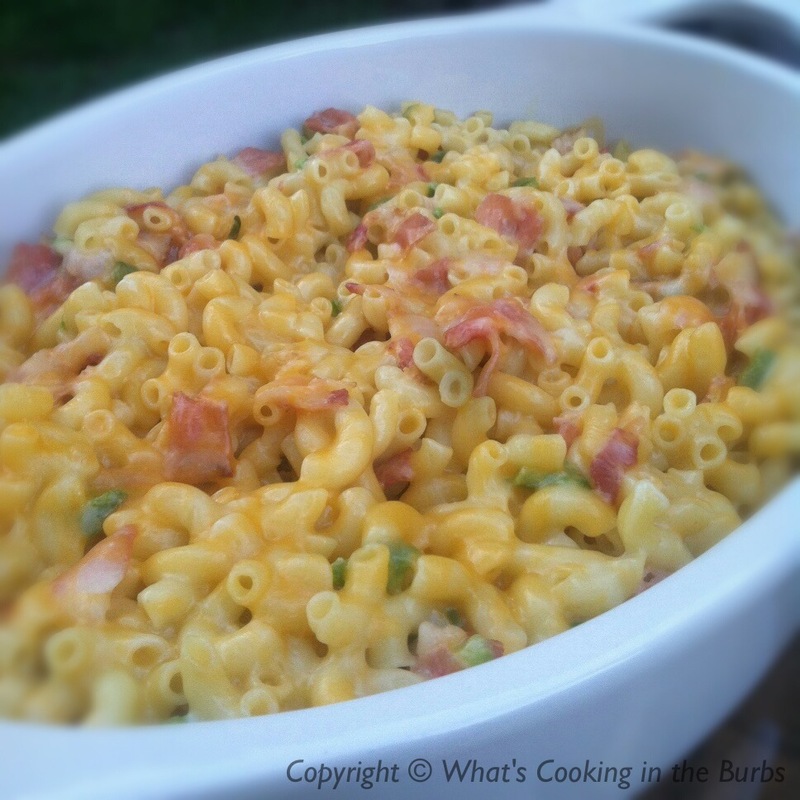 If you love a spicy, cheesy, creamy pasta dish then you are going to love this Jalapeno Bacon Mac and Cheese. The best part is that it's weight watcher friendly. I was able to indulge without feeling guilty. It was beyond good! In a small sauce pan whisk together milk, cream cheese, garlic powder, and salt. Once smooth slowly stir in one cup of cheese until melted. Add in the diced jalapeno and crumbled bacon. Combine mixture with cooked macaroni. Pour into a lightly sprayed baking dish and top with remaining cheese. Bake uncovered for 15-20 minutes or until cheese is lightly browned. Enjoy! Yum - mac & cheese with a pop! Thanks for sharing on the BBQ Block Party. Looks fab! I love new ways to prepare mac and cheese! Mac and cheese is my all time favourite food......can't wait to try your recipe!